Spring cleaning your office carpet helps improve air quality indoors and makes your space a safer and healthier place to work. 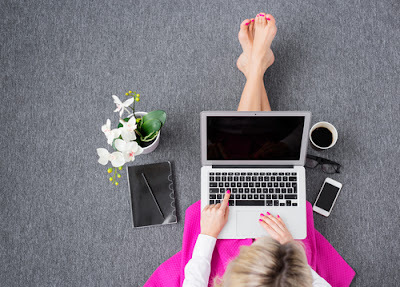 Since carpets in the office, especially those placed in the high traffic areas are more prone to dirt and grime, keeping carpets clean and stain free can prove to be a great challenge. However, following some simple spring carpet cleaning tips listed below or taking help of professional carpet cleaners can be highly beneficial in helping you deep clean your carpets during this spring and keep them looking fresh and new for years to come. Vacuum cleaning your carpet regularly, at least once a week is important to keep the deeply embedded sand, dirt and dander to a minimum. Use the vacuum on every nook and corner of the carpet, around the furniture legs, beneath the furniture and across the baseboard for thorough cleansing. Although we all do our best to get rid of carpet stains as soon as they are formed, there are always some pesky spots that are left behind that require several treatments for successful removal. A cool spring cleaning tip for removing stain from the office carpet is to use an iron. Follow these steps and watch the stain disappear completely. · Make a solution combining one part of vinegar with two parts of water. Fill the solution in a spray bottle and spray it on the stain. · Set your iron on steam setting and iron the rag for about 30 seconds. · Viola- the stain is gone. Depending on how old the stain is, you may be required to repeat the procedure to attain successful results. Prepare a cleaning solution by mixing equal quantities of vinegar and water and add it to your steam cleaner. However, if your office carpet is placed in a high traffic area and requires a more powerful cleansing solution for complete clean up- use a higher ratio of water and vinegar. Deep cleaning offices carpets will help get rid of dust mites and allergens from the carpet in an effective. However, instead of using a liquid chemical carpet cleaner, opting for a homemade green carpet cleaner would be a great option. To prepare a green carpet cleaner, combine 2 tablespoons of dish soap, cup of Hydrogen peroxide, 2 tablespoons of fabric softener, ¼ cup white vinegar,5 drops of essential oil and one gallon of hot( not boiling) water. Add this solution in you carpet cleaning machine for a deep cleaning office carpets. Apart from cleaning office carpets regularly, using a carpet fresher in- between deep cleans will help prolong the freshness of your carpet .Create your own carpet fresher by using the following ingredients and store in a shaker. Sprinkle this mixture lightly on your carpet and allow it to sit for about 15- 20 minutes. Vacuum it as per usual. However, while spraying the powder, ensure that it is done on a dry day. This will prevent the baking soda from picking up any moisture. Help Clean Carpet Thoroughly: A great advantage of hiring professional carpet cleaners is that they can help clean your office carpet thoroughly. When an office carpet is cleaned and maintained, it not help improve the look of the carpet, but also helps your office look better, making a good impression on your clients, employees and visitors. 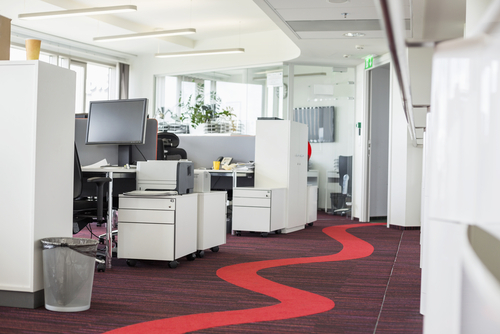 An office carpet that is looks clean and is visually appealing can make better first impressions and also improve the feel of your office space. Help Improve indoor air Quality: The dirt, dust and debris that get embedded in the carpet fibers eventually get into the air and cause respiratory infections and odors. However, since hiring professional cleaners helps remove even the most rooted debris from the carpets in an effective way, it prevents them from getting it into air. Additionally, using harsh chemicals while cleaning office carpets can give rise unpleasant smells and also affect your health adversely. However, since most carpet cleaners use EPA- approved cleaning products that are void of harsh chemicals, choosing professional cleaning for your office carpet could prove to be a safe bet. Opting for certified carpet cleaning services will not only help your office be free from any unpleasant smells, but also ensure that you and your employees breathe healthier air. Best Carpet Cleaning option: Depending on the carpeted area of the office space, many business owners often use a vacuum or rent carpet cleaning machine to clean the office carpet themselves. However, it must be noted that since rented carpet cleaning machines are used by different people over and over again, using the machines will not provide effective cleaning. Additionally, since this machine clean carpets using harsh chemicals, using them can leave behind residue and unpleasant smell in the carpet that can attract more dirt and debris. However, since commercial carpet cleaning services use more effective equipments and cleaning products, using their services will not only prove to be more effective than a rented carpet cleaner, but also will help your carpet stay cleaner for an extended period of time. 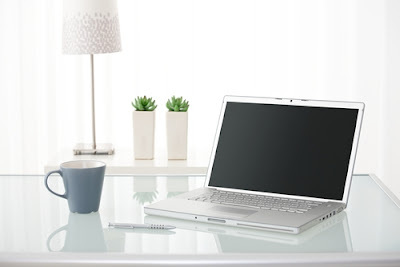 Keeping your office clean can play a crucial role for your business as well as your health. 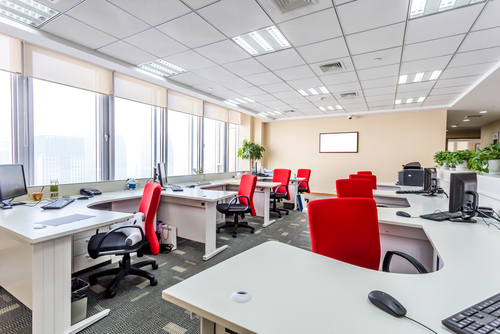 Additionally, having a clean office carpet will help improve the overall appearance of your office and prevent it from looking dirty and unkempt. Taking steps to spring clean your office carpets can be a positive step towards achieving good health and success in your business venture. Cleaning your office is not at all an easier task and it needs you to put a huge amount of effort. If you are hiring some professionals for the job then there is no need for you to worry much but in a place like Singapore where everything is very expensive, it is always good for you to do most of the things by your own. It is always good for you to deal with the work in your company but ensure that you do not do the following mistakes so that the whole effort do not get wasted. Office cleaning can be an overhead but it is good to spare sometime for doing this sort of a work so that your office is kept in a very good form. If you do not have healthy as well as clean environment in the office then if affects the work and also the employees. Always ensure that you maintain the office in such a way that everything looks really tidy and also clean. It can make your employees work more efficiently. Organizing the stuffs can even make the work done in faster pace. 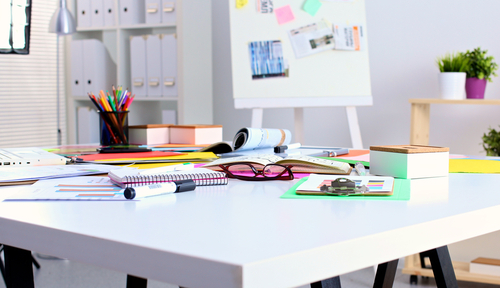 Here are the common mistakes that people may do while cleaning the office. When you are cleaning the office, the major hindrance that you may face can be piles of paper. Most of us either again put them into a draw or somewhere where it is not visible. The truth is that there is no point of doing so if those papers have some important ones in them. You are going to again bring those piles on the desk which can again make your work space messy. When you deal with the papers spare sometime to organize it. This is the work that every employee should do on the desk so that they can easily categorize and also find out the papers that are relevant to them. There are chances for many of these papers to be unwanted stuffs or the ones which already have got a soft copy in your system. When you have the digital copy then there is no point of cluttering your space with the hard copies. You can better shred those unwanted stuffs. Ensure you get folders to organize the necessary papers so that it becomes easy for you to access them when you need them later on. Even when we say we are so much forward with the advancement of technology and use all the new ways or methods in our job, the pens as well as paper clips are again all over our desk. We may not need all those but still we keep a whole lots of them on the desk. It is not at all a good practice as it can only make things hard to deal with. Throw away the pens that are not working and also use only those number of pens as well as paper clips that are necessary. In this era most of the work is done digitally and so better avoid as much as possible. One of the major mistakes that you do when you do office cleaning is that you get everything cleaned but may not bother about pest control. If you do not care it then it can make your office messy. Rodents as well as rats can easily find a place in your office which can slowly turn aggressive damaging your commercial assets. In a place like Singapore you can easily hire the pest control agencies who do the necessary stuffs so that your office is whole away from pests. It is a good way through which you can ensure that your office stays clean. Another important stuff that need thorough cleaning is obviously curtains and carpets. It is good for you to get the professionals hired for cleaning the curtains and also the carpets. It is a good way through which you can ensure hygiene in your office. Most of the offices do not do this which can create an unhygienic environment inside the office. There is no point of cleaning everything but leaving these stuffs. There is no point of getting these stuffs cleaned by housekeeping department in office as they obviously need some professional cleaning. Office cleaning cannot be complete if you are not segregating wastes. As an entrepreneur you should be aware that the wastes that are produced in your office which may be in the form of recyclable goods, the e-waste or the ones which can be made decomposable. If you are really interested in keeping your office in good form always then you should be ready to segregate waste in such a way that there are different dustbins available for collecting these different forms of waste. Every employee in the current scenario need a PC to work on and what if you are not caring these PCs. It is good for you to hire some good professionals in Singapore who can do the cleaning of PCs in really good way so that you need not have to bother about it. Most of us do not spare much time in actually doing the cleaning of PCs which may end up in making them dusty. It is good to get the PCs cleaned every day. You can employ the professionals for this work once in a particular time frame. It can help in ensuring that the PCs stay in good form for quite a longer time. When you are cleaning the office, it is good for you to spare some time so that you can actually do a good service for the plumbing system. It is good to get the professionals employed for this work too so that your office get a whole cleaning done. Getting the plumbing system be maintained ensures that it stays in really good form to be used.